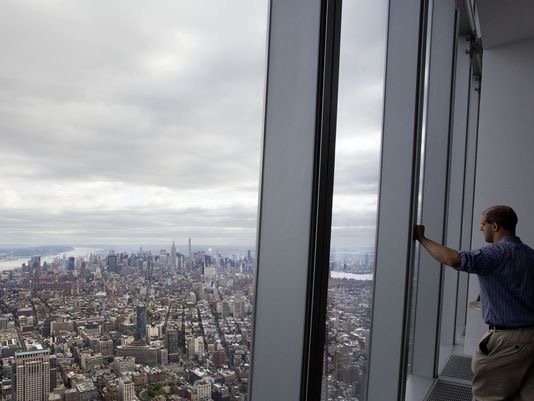 It has been 14 years since New Yorkers and visitors have been able to gaze upon the whole city from a skyscraper in lower Manhattan, but Friday changes that with the opening of One World Observatory inside One World Trade Center. Besides panoramic views from one of the tallest buildings in the world, visitors will experience cutting-edge technology like gesture-recognition interactives and real-time videos of NYC in the floor.The elevator ride to the top (100th floor) takes 47 seconds. 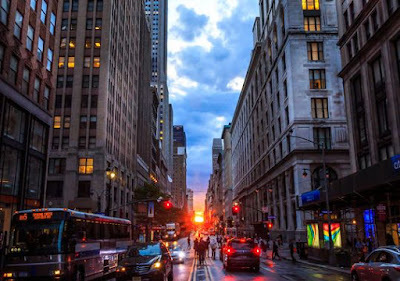 As a bonus for NYC dwellers and visitors, Friday also is a Manhattanhenge date. The sunset will line up perfectly with Midtown Manhattan's street grid Friday and Saturday.This is how it looked last year.